If this is your first marathon, you are probably already overwhelmed by all the conflicting advice you have been given this week. 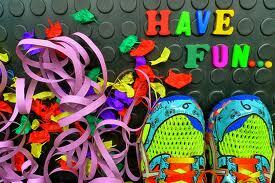 From the media, to your work colleagues, everyone seems to be an expert on marathon running. It’s easy to become overwhelmed by all the information. Its important now that you stop reading up about all the things you could have done a few weeks ago. Now is the time to rest, relax and prepare yourself mentally for the day ahead. It’s just a few days until the marathon. Lets keep it simple. 2. Take it all in – nothing beats the ‘First’ Marathon feeling. 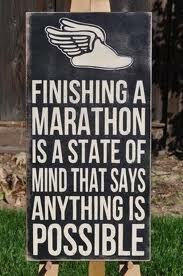 This will be your fastest marathon, it may also be your only marathon. Aim to enjoy it. That should be the first priority. 3. Think Tall and Relaxed – When feeling tired, practice your Running Posture and remember any running technique tips you have worked on. Whenever you are tired, go back to your Chi Running Focuses. 4. Start Slowly – no medals for the first 10k. It’s so easy to get carried away by the atmosphere at the start line. Your first mile will feel very easy, and its tempting to run faster. Don’t. It will catch up with you later. Decide in advance the pace you will run your first mile – and stick to it ! 5. Trust your Training – Don’t compare yourself to anyone else. No two runners have had the same path to the marathon, so you cannot compare training, times or result. 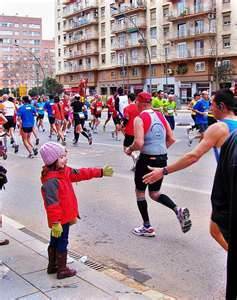 We all overcome different obstacles on our marathon journey. There will always be faster runners (who do less training than you). The only competition is with yourself. 6. 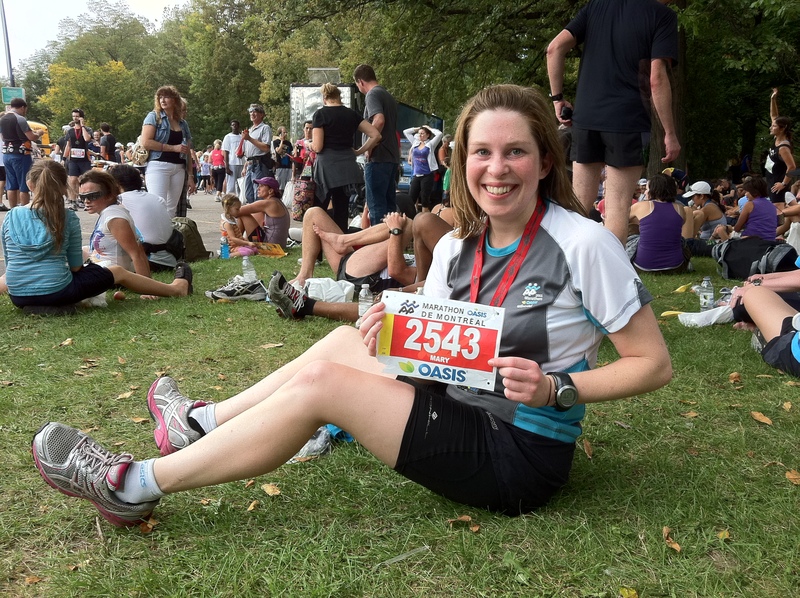 Don’t stress about the time it takes – Do you really want to finish your first marathon and feel disappointed with yourself ? Make sure any time goal you set is realistic, and not based on someone elses time. There is always the next marathon to beat your time. You don’t know how your body is going to feel at 22 miles – so be sensible and realistic. 7. Break it into small chunks Don’t overwhelm yourself with the numbers. 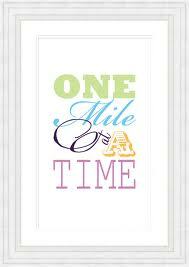 Take it one mile at a time. Only think about the mile that you are in. Avoid stressing about whats ahead. You will have plenty of time to worry about 20 miles when you get there. 8. Be grateful – you are so lucky to be able to do this – enjoy it ! There are so many people who would love to be in a position to run a marathon. You are one of the lucky ones. Appreciate the fact you can line up at the start line. That, in itself, is a privilege. 9. Smile : If you are feeling tired, stiff, in pain, nervous, anxious or generally overwhelmed along the route just slow down , relax and smile. Its amazing what a smile can do to trick the body into feeling better. Not only that, more people cheer you when you smile, your body will relax, and you might just start to feel better ! 10. Manage the doubts : There will probably come a point in the marathon where you want to stop, where you wonder why you are doing this and where you feel your confidence decrease. Accept this is going to happen at some point, but I promise it’s a temporary dip. Plan in advance what you are going to say to yourself when this happens. And practice saying it to yourself. 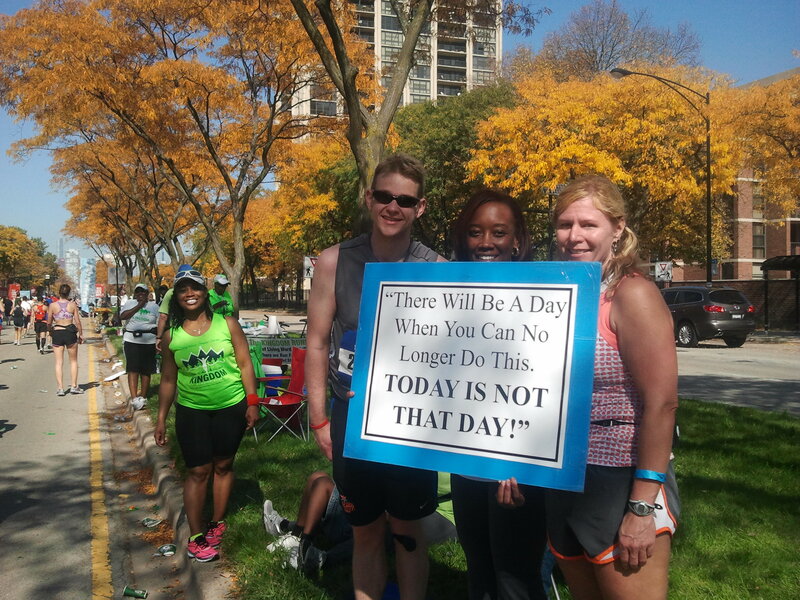 The wave of negativity will pass, but you can help this by reminding yourself of the hard work you have put in, and picturing yourself feeling strong and finishing the race. 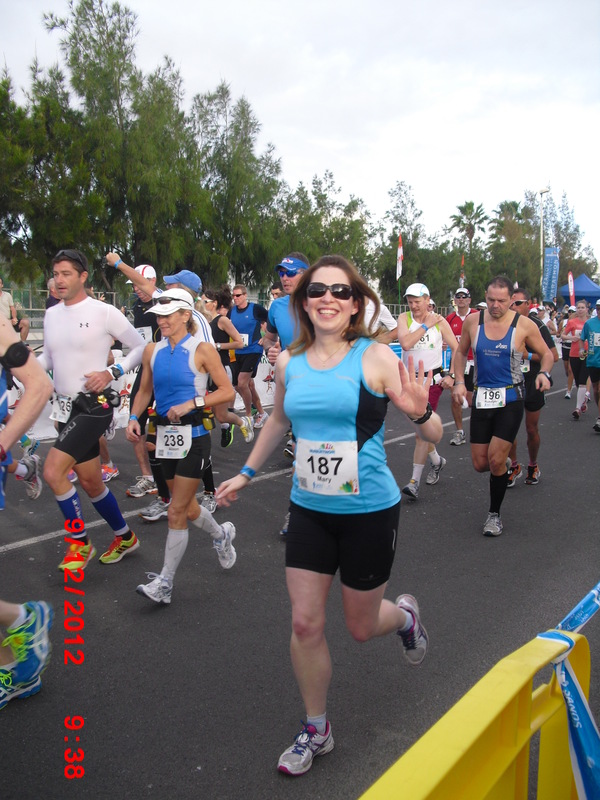 Mary Jennings is founder and running coach at ForgetTheGym which provides coaching and support to runners and joggers from beginners right up to marathoners. 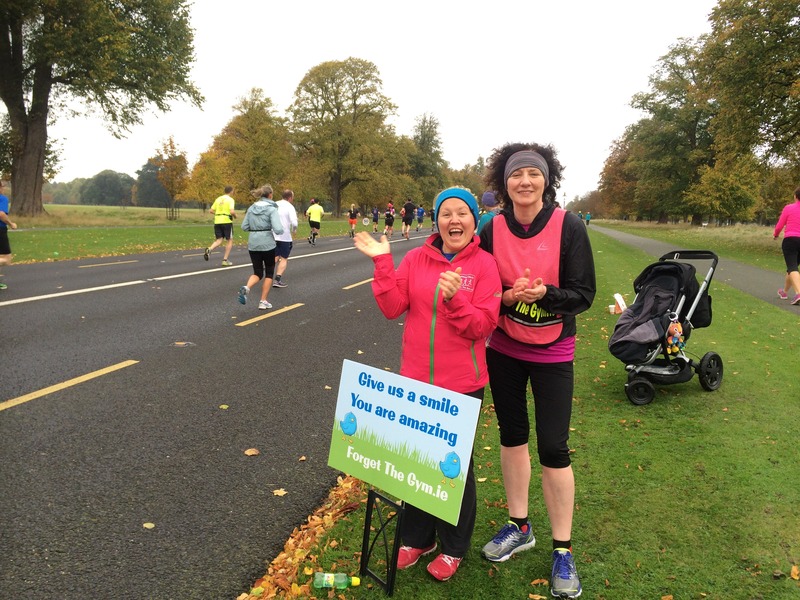 She is a certified Chirunning coach based in Dublin, Ireland.